Most states require businesses to formally acknowledge their customers’ payments through a payment receipt or a payment acknowledgment letter. 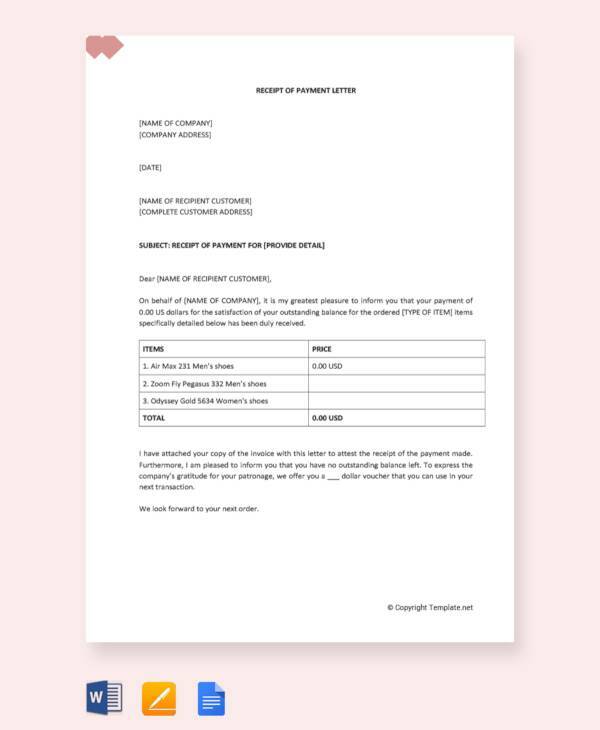 A payment acknowledgment letter serves as proof of such payment and is thus beneficial for both the business owner and the customer or client.You may also see cash payment receipts. 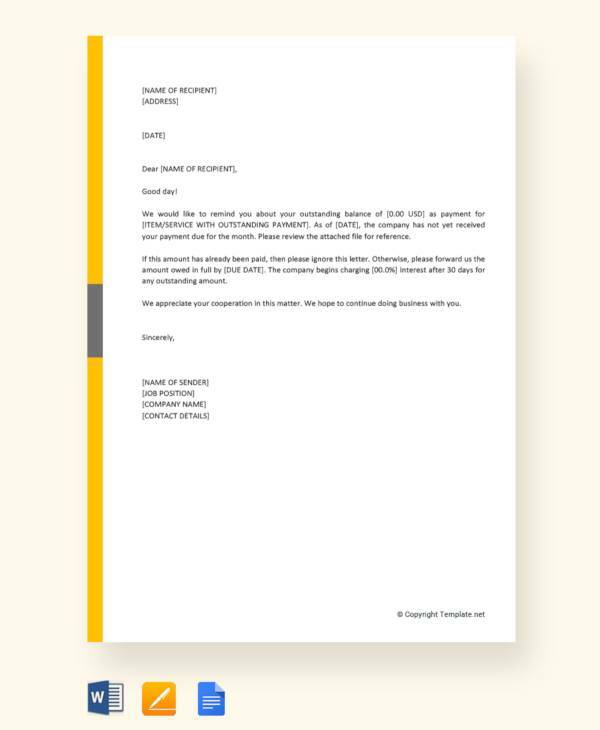 Whether you are a rookie business owner, a manager, or even an experienced one, you need to know how to craft a payment acknowledgment letter. 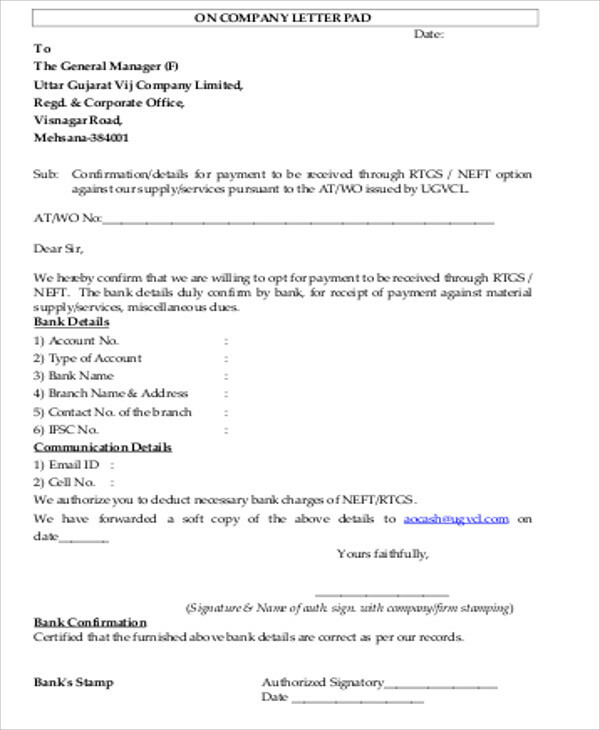 For your guidance, we have collected a variety of payment receipt letters as well as Sample Receipts. These templates are easy to download and store in your devices since these are in Word and PDF formats. Scroll down below and start downloading our templates now! 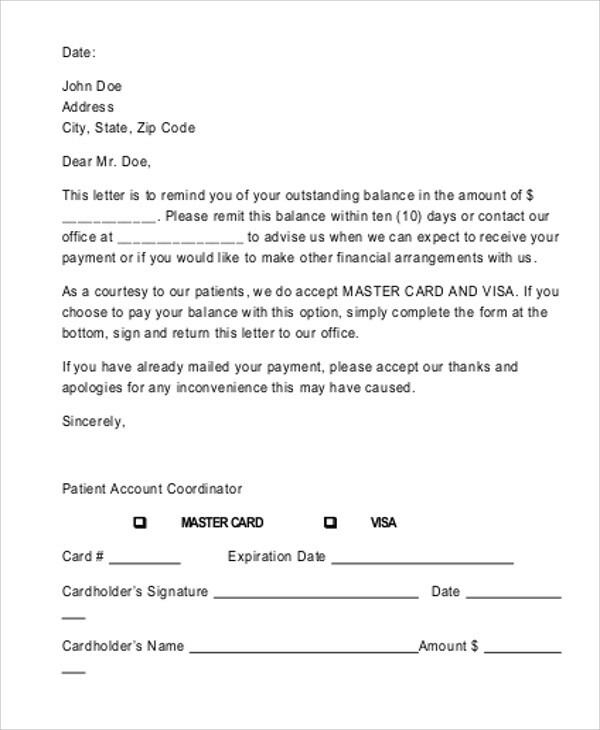 What Are Payment Acknowledgment Letters? Payment acknowledgment letters are letters that are sent by business owners, landlords, or sales associates toward their customers, clients, or tenants. 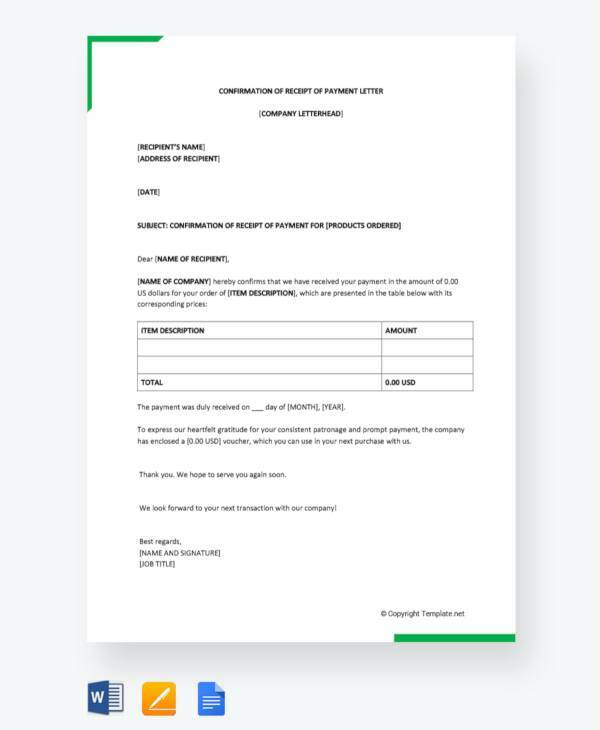 The purpose of this letter is to formally acknowledge the fact that a certain customer has already made his/her payment for a specific item or service procured or availed. 1. Start by observing the proper rules on formal letter-writing by placing a heading and a formal greeting.You may also see parking receipts. The date you have received such payment. You may also see general receipts. 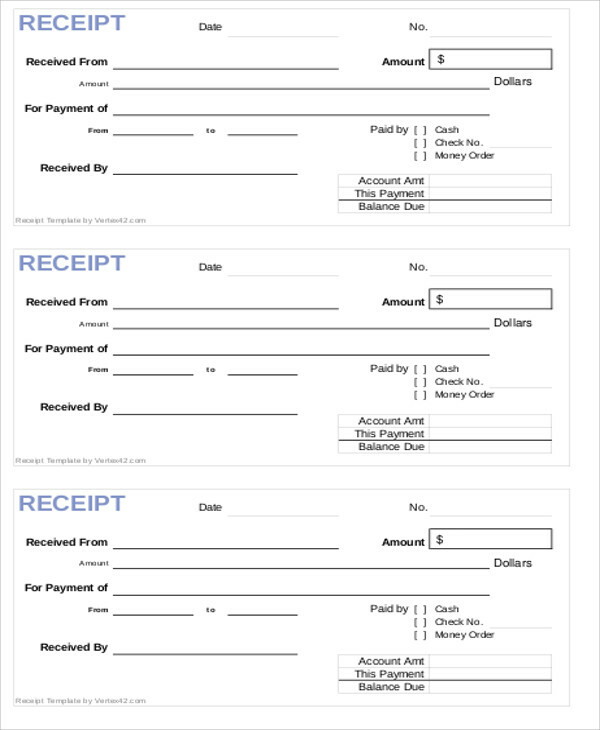 If the payments that you have received from your client corresponds to various items that were paid in different dates, you can opt to itemize each payment by using the tabular method or through enumeration.You may also see donation receipts. Provide other pertinent details of the transaction. For example, if your customer still has an outstanding balance and you want him/her to make his/her payment on or before a specific date. Close your letter formally.You may also see cash payment receipts. Aside from payment acknowledgment letters, you may also opt to express your acceptance of the payment by sending a payment receipt. To know more about receipts, refer to our collection of acknowledgement receipt samples. How Important Is It to Send a Payment Acknowledgment Letter? 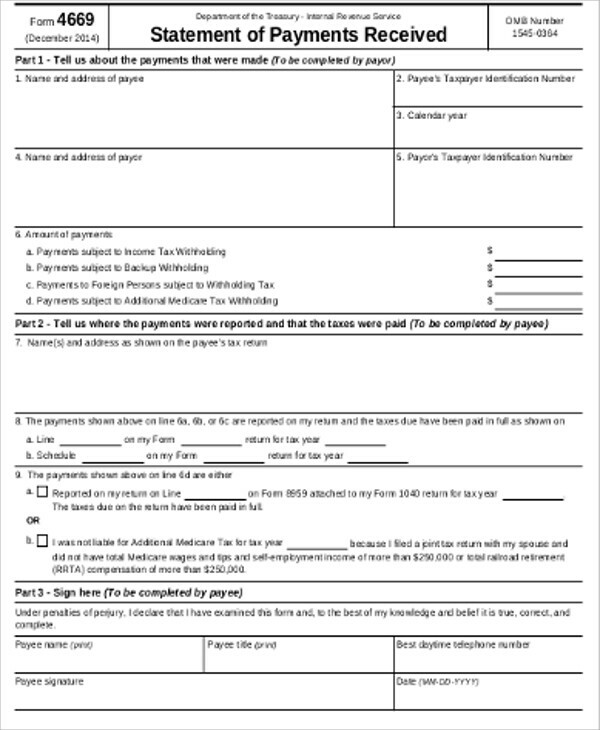 This letter can benefit the customer by serving as a proof of transaction that may result to a deduction of the tax they need to pay.You may also see rent receipt format. 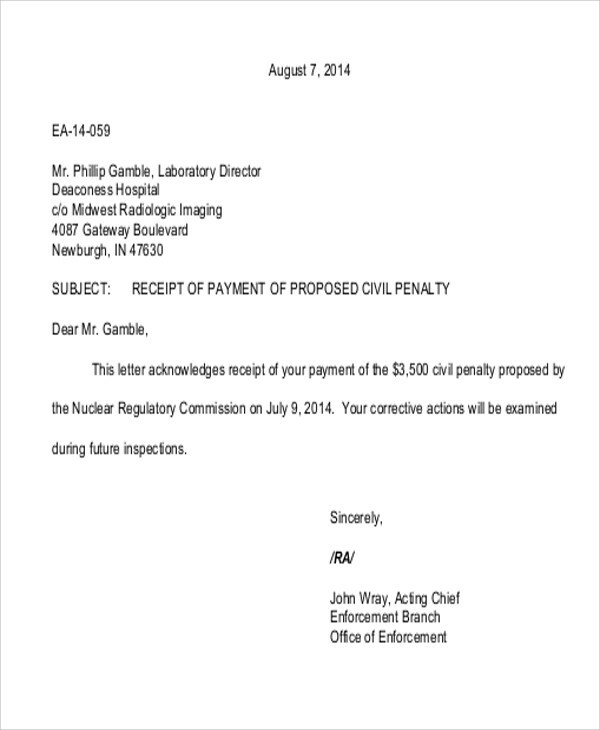 Above all else, this letter is a hard evidence for the payment made. Hence, it would prove difficult for business owners to have the legal right to ask for payment from his/her customers.You may also see travel receipts. In cases when the items or products that the customer purchased is defective or damaged, he/she can ask for reimbursement or repair from the store where he/she bought the item from. 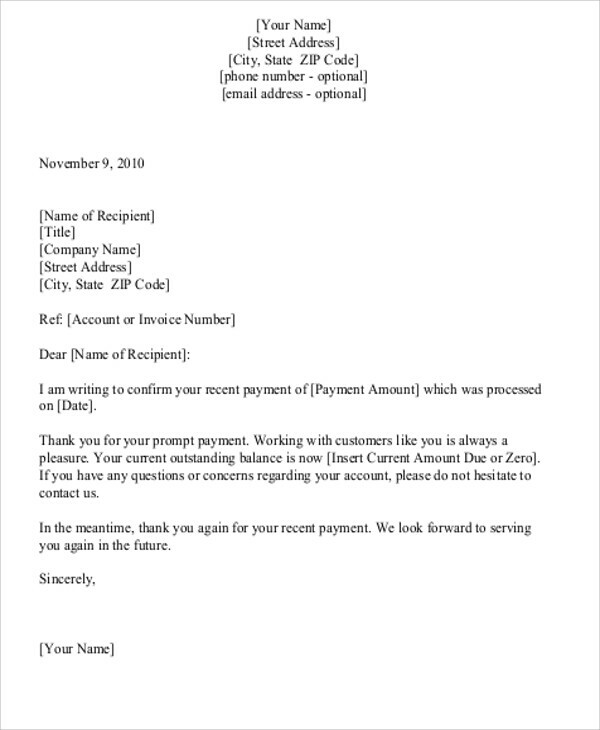 A payment acknowledgment letter or a payment receipt would serve as his/her proof of payment for said items, which thus gives him/her the right to ask for reimbursement and reparation claims.You may also see advance payment receipts. 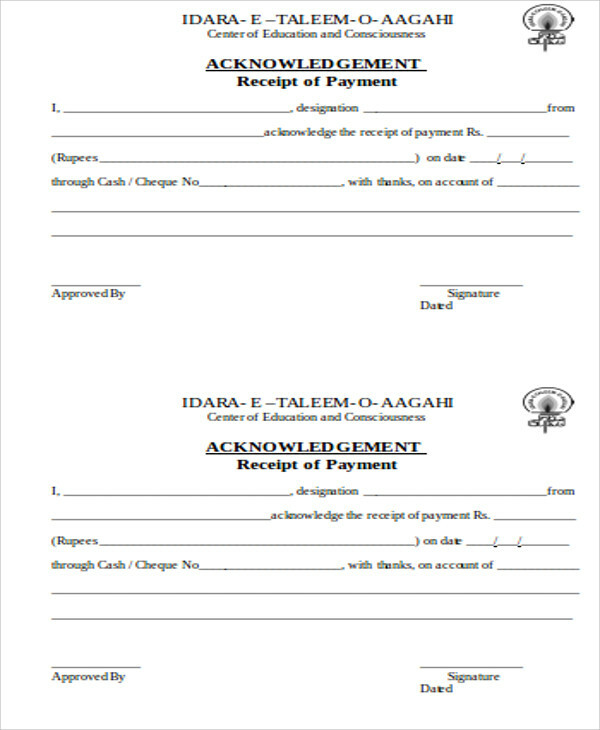 To know more about payment receipts and methods of acknowledging payments, feel free to download from our templates on this page, or you can also check out our collection of Payment Receipt Samples.